Well! Waaaay back a couple of weeks ago I was going to tell you about our first attempt making socca, and then my blog vanished out from under me. 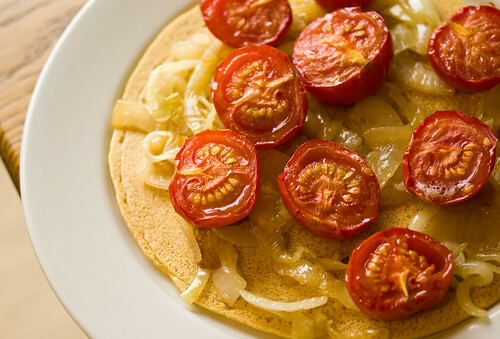 Better late than never, so here it is: chickpea flour pancakes (socca) with caramelised onions and roasted tomatoes, adapted from the book Plenty . I have no idea why we’ve never made socca before, it’s simple and tasty and makes a great vehicle for vegetables or pizza toppings. I’ve seen recipes that have you pour the batter into a hot skillet, then put it under the broiler to give it a bit of char. I was using the oven to roast tomatoes, so I just flipped the pancakes and finished them on the stove, which worked fine. 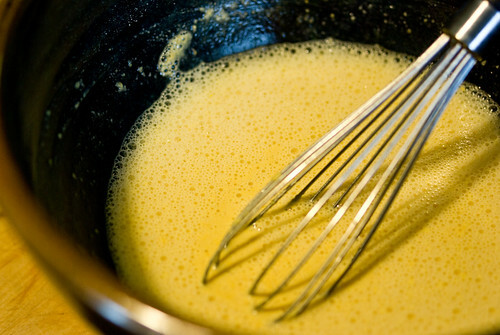 The batter was just chickpea flour, water and an egg. The recipe in Plenty wants you to whip the egg white, but I didn’t see any other recipe call for that and it sounded unnecessary, so I skipped it. 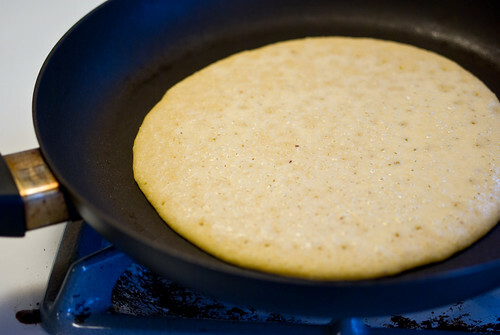 The pancakes, being made of legumes rather than grain, are very tender and brittle, but I found that by making them fairly small (6-8 inches) they were easy to flip. 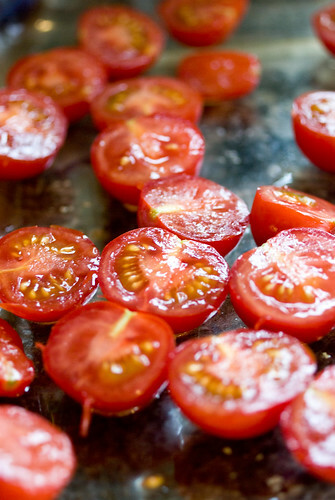 The tomatoes were sweet, small greenhouse tomatoes from Hedlin Farms. They were very good roasted until just a bit concentrated and scattered over the onions. We’re looking forward to putting all kinds of things on socca this summer.